While scrolling through the vast array of photos in my computer's library, I couldn't help but to become overwhelmed with joy; within the span of the past year, I've witnessed some of the most magical occurrences I could have every dreamed. 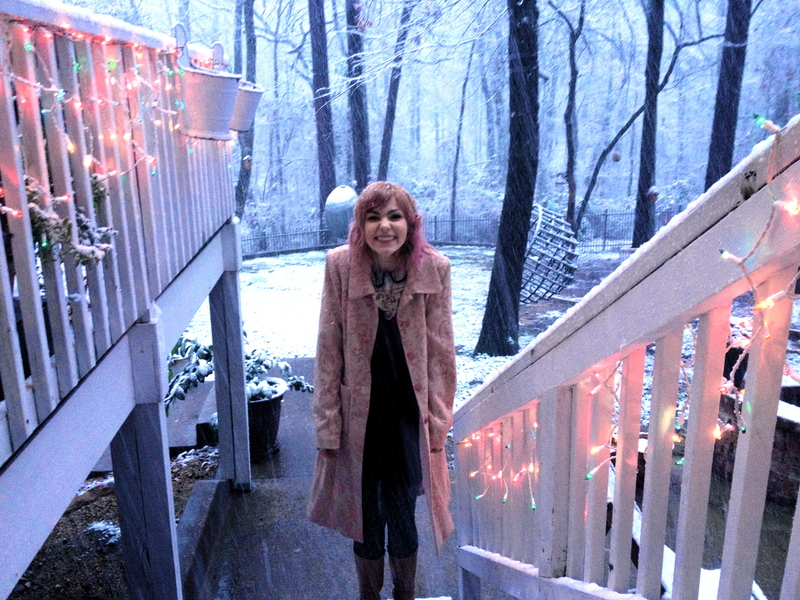 For example, in this photo alone, I had experience my VERY FIRST white Christmas. The story is fairly goofy, wherein my brother and I were so awestruck and giddy, we had completely neglected the fact that snow was slowly but surely piling up on the roads; we were on the opposite side of town from our house and had to take an alternative route to return for dinner, costing us about fifteen minutes extra. The silly and somewhat shocking part of these glorious instances I've encountered is that sometimes as human beings we can become so absorbed in the paper that's due next week, or the psycho shift we're working tomorrow, or maybe the argument we had with a friend yesterday, and we don't fully take in how splendid things merely are. I'm talking snow on the ground. If only for just a moment, we're mindful. If only for just a day, we're grateful that, like the snow, we just are. If only it wasn't just a moment. If only we led lives based solely in the soles of our feet in that very instance. So do this with me! I'm making the choice to be mindful and to live moments to their capacity, despite my past or present agenda. I encourage you to take a few minutes and watch this video, and maybe you'll decide to attempt seeing the world "through the eyes of a three-year-old" as well.